Moebius: The Orb of Celestial Harmony was developed by Origin Systems which was my favourite game company after playing for many great games from them (brace yourself for more games from them in later ranking). It is also published by Brøderbund which is also my favourite game publisher at that time. Moebius is one of the few last games that I played on the Apple II+ system which by the way has been so stable and not crashed on me more than few times. By this time my computer is already very old and Moebius is one of those new games with advance graphics that look awesome even on my monochrome screen. The best thing about this game is the combat system which was not only good looking but also immersive. It might be some simple slashing of top, middle and bottom but somehow it was great during it’s time and it kept me playing quite a lot. I am not sure why I ended up did not finishing this game. As for the plot, I do not remember anything about them. Just something about ninja and oriental stuffs. Still, my fond memories of it’s combat system is good enough to give Moebius this spot. What’s next? Moebius was moderately successful and got quite good review. So a sequel (Moebius 2: Windwaker) followed and it was again published by Origin Systems. However, I do not see Lord British or any big names involved in this sequel. Reception on the sequel was not good as I myself do not even know about it. I guess the franchise died down since. Castle Wolfenstein is the original game which has inspired a lot of it’s successors such as Wolfenstein 3D and Return to Castle Wolfenstein. I guess it was a very popular game back then and I remember the phrase that the German in the game always shouting “Halt!” (stop!) and “Kommen Sie!” (come, you!). Then you need to show them your papers and other times you need to “silence” them to proceed. Again, I never did finish this game because I had enough of all the “Halt!” which is starting to get repetitive and annoying. I did play a lot of this game even during computer period in school. We would load it up and play for just 10-15 minutes. What’s next? 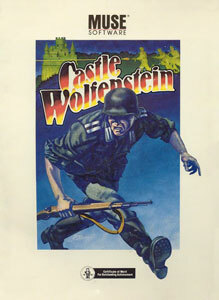 After the success of Castle Wolfenstein, they had a sequel called Beyond Castle Wolfenstein. Later in the years, it inspired a lot of other games such as Wolfenstein 3D, Return to Castle Wolfenstein, Wolfenstein 2009 and so on. Most of it are Nazis theme games with some based on WWII and some based on some demonic Nazis. The latest project being Wolfenstein: The New Order is in the making to be published by Bethesda and will be released in 2014. Might and Magic Book One: The Secret of the Inner Sanctum is another game that was quite successful when it was launched. It did spawn a series of about 10 games later in the years. Sadly the franchise is almost dead when the original creator lost the rights to this intellectual property when he sold his company. The franchise then get floated around developers that never quite able to bring back the “magic” in this game. Anyway, I am glad that I was around when this first game was launched. It was also very late into the scene. By late I mean when Apple II+ is almost dying out. 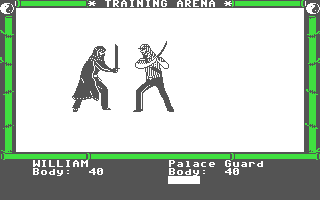 Luckily this game still works on my old Apple II+. It is after all the golden era of RPGs so this game was quite innovative when it was out. The gameplay, storyline, RPG elements and so on are formulaic but not too bad. You get to control a party as usual which is one of the great things in old time RPGs and the thing that is lacking in RPGs nowadays. What is great about this game and why it is so popular is because it does a lot of the basic stuffs about RPGs right. And it added a lot of things on top of it (expanding the depth) which turn it into something better for most people. For that this game get to be number 18 in my book. What’s next? Magic enjoyed quite a successful run throughout it’s history with a few spinoffs. The RPG part of Might & Magic has been released up to IX (nine) and the tenth will be out in 2014. However, the later few episode of this series were very weak and that is probably the reason for the creator not being involved in the game and totally gave up the franchise. Some of the spinoffs includes the very successful Heroes of Might & Magic which is some sort of turn-based strategy game and King’s Bounty. There is nothing much to this game but somehow I played a lot of it. The gameplay is simple with lots of exploration. Screen after screen to run through and around. Collecting treasures and looking whatnot. No really, whatnot cause I have no idea what is the purpose. I just run around screens and intrigued by the different screens of ladders going up and down, left and right. The sound is actually one of the good thing about this game cause it enhances the repetitiveness of the game. Maybe cause I played this game at the height of playing Lode Runner which is ranked higher in this chart. The graphics is actually not bad for the time it was created. This game have such an imprint in my memory that I still check out games that have the name Montezuma in it. Even today, a game with similar name is installed in my iphone and it is a totally different game. What’s next? 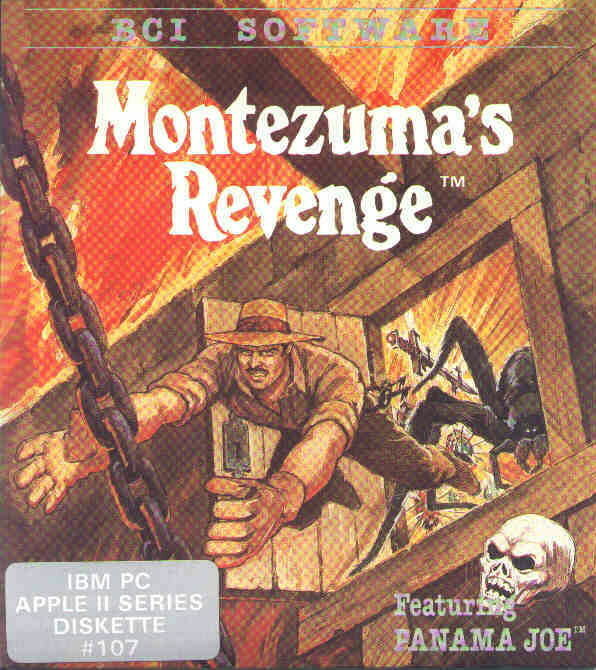 A sequel was created from this game with 3D elements called Montezuma’s Return. Also a gameboy spinoff that I am not sure if it’s any good. Well, I am not sure if this game is underrated. But I did not see nor hear many people mention Archon. For me, this is one of those games that make playing chess interesting. That is before the Battlechess series was out. However, Archon is not chess game at all. You move set pieces of Archon like in chess but that’s it. The rules are not the same and the main attraction to this is the fights between the pieces. When two opposing pieces are moved into a same square, a battleground is loaded where both pieces duke it out using their powers. Each of the pieces have their own power where some are strong and others are weaker. This add a lot of variation to the game and I like this game for this. This game was published by EON which was the Electronic Arts of that time. They too like Origin Systems was one of my favourite publisher because they do publishes a lot of good games. What’s next? I guess this game was quite a hit because it did have some serious follow-ups. 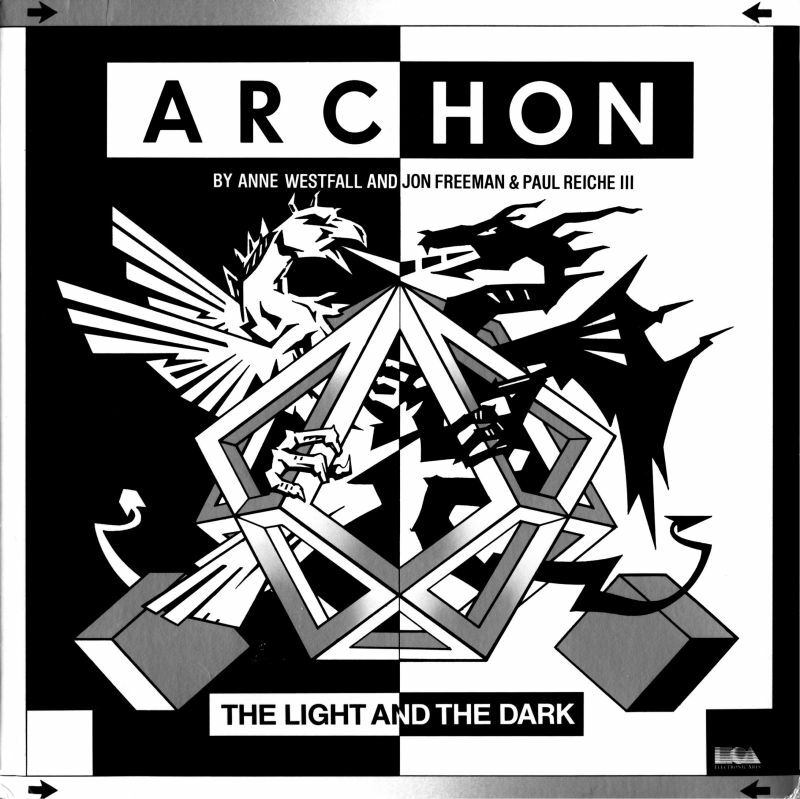 There’s the sequel, Archon II: Adept which expand on the first game and I did not like it. Then there are quite some remake to this game with Archon: Ultra, Archon: Revolution and even on iphone Archon: Conquest. lode runner is great but I still can’t find any good remake. All the one created for mobiles are very lousy. Thanks for the very nice post ! It brings a lot of good memories and I can’t agree more with the list you made up !! I do agree Ultima IV is probably one of the best game I ever played. Like you I guess it probably influenced me… it’s a bit like reading the Bible and actually learning to be virtuous by playing. I couldn’t succeed finishing it while I was a teen playing on the Apple II, but I could finish it years later with an emulator on Windows.